Spain is a country of contrasts, from the cut-out Galician coastline to the wild Cantabrian coast to the peaceful beaches of the Mediterranean and the paradisiacal enclaves of the Canary Islands. And we mustn't forget the dry plains and plateaus and truly impressive mountain ranges. There are so many spectacular natural enclaves that each province provides its own unique contribution to the country's overall beauty. 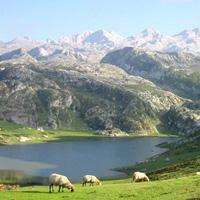 By taking into account natural landscapes exclusively, which do you consider to be the most beautiful Spanish province? Take an interest and vote in this ranking.